When I left my job and became a stay-at-home last Dec, I really ramped up my blog reading. I mean, all of a sudden, I had all of this free time. What better way to spend it than being nosy and reading about other people's lives, right? One blog I discovered, Clover Lane, I found on Today's Creative Blog sometime in late Dec or early January and I've been reading ever since. 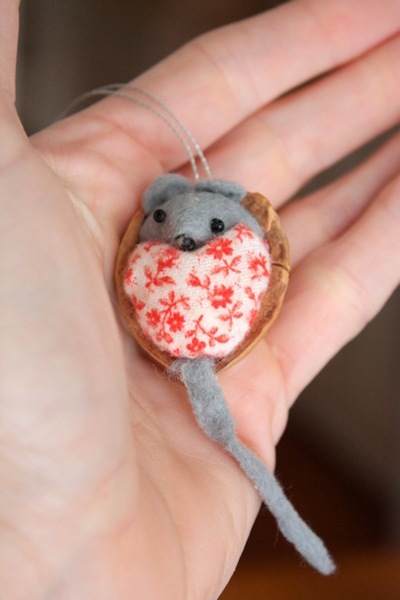 When Sarah first posted these adorable ornaments, I bookmarked them immediately. How cute are these??? These are so on the list for this weekend's holiday crafting projects! You can find the tutorial for making them here. Oh, they are so adorable!! 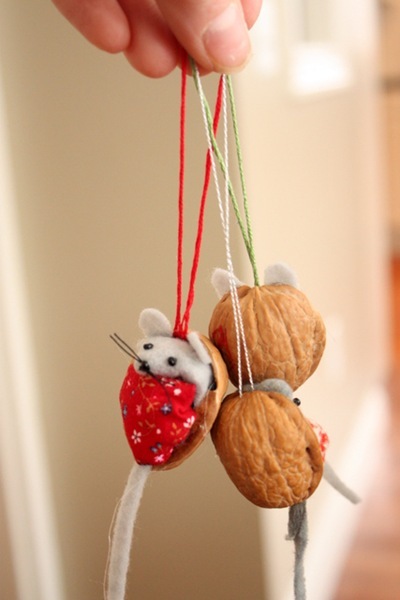 Reminds me of the things we crafted with nutshells when I was a kid...great memories! Oh my goodness! These are SO cute!! Wow my mom totally had one of those when I was a kid! How cute!